Not too many people think of boxing as a good way of working out. Actually, it is one of the most efficient types of exercises ever to have been invented. Besides, you don’t even have to join a studio or classes taught by a professional. You can do your boxing at home if you install a punching bag in your basement. This article might help you if you’re looking for a heavy water bag, for instance. But what are the benefits of boxing? We made a list of some of the important ones and showcased them below. Some studies suggest that training just like a boxer can help you burn approximately thirty calories per minute. That’s a whopping 300 calories in just ten minutes. In only thirty minutes, you’ll be able to get rid of as many as 900 calories. Losing fat is essential if you want to make sure that your heart health remains on par as you grow older. 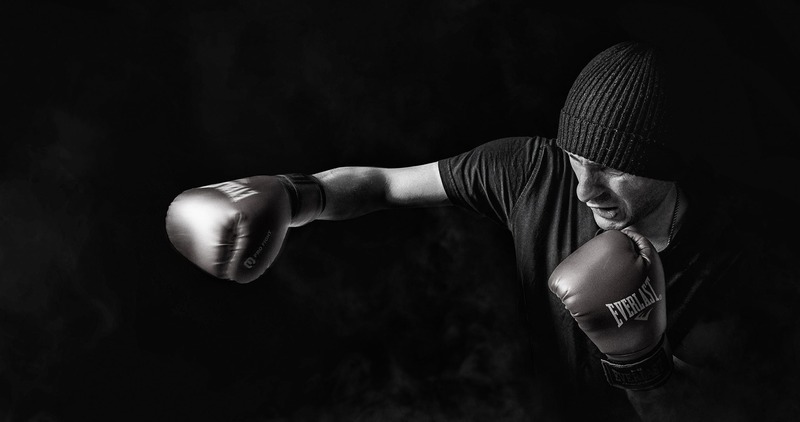 While there’s an ongoing debate as to whether or not boxing is good for children who might have difficulties dealing with their anger issues, it’s just the right way of getting rid of a bit of stress for adults. Pretty much any type of physical exercise, but boxing especially as it requires a good deal of energy, is great for de-stressing. In order to make sure that you don’t hurt yourself when you’re hitting the heavy bag, you need to pay attention to everything you are doing. Hand-eye coordination plays a major part in any person’s fine motor skills. Folks that have better hand-eye coordination than the average individual are said to have better reflexes and shorter reaction times. In other words, learning how to box will help you have more confidence in your reactions. It will also assist you in defending yourself if you’re ever in some kind of trouble and you need to get out of a tricky situation. In the whole world, heart disease kills approximately one-quarter of the entire population. According to the World Health Organization, heart disease is the major cause of death globally. More people die from it than from any other type of medical conditions. So you can’t mess with your heart health, and you should use any means you have at your disposal to keep your heart in great condition for as long as possible. You can keep your heart rate up all throughout your workout when you’re boxing. You do have to warm up before, of course, and that’s because you should not put any strain on any of your body areas, muscle groups, or your heart. However, compared to other types of cardio exercises, boxing is better because it is more efficient and it doesn’t require you to spend countless minutes on the boring treadmill. It is an active anaerobic workout. So, why not take up boxing? Just remember that you should start small, especially if you’re out of shape and looking to shed some pounds.